The New Nonprofit Pharmaceutical World: What’s Up with That? Two new nonprofit pharmaceutical companies, Civica Rx and Harm Reduction Therapeutics, have declared they want to help patients see more money in their pockets by manufacturing low-cost generic drugs. With public trust in for-profit pharmas at an all-time low, especially when it comes to their relationships with a special brand of self-serving philanthropy, they’d better be transparent about it. Even with the field in experimental startup mode, there is a good deal of variety in some of the larger efforts. Civica Rx, a new nonprofit drug company based in Utah, is partnering with seven of the largest US hospital systems: Intermountain Healthcare, Catholic Health Initiatives, HCA Healthcare, Mayo Clinic, Providence St. Joseph Health, SSM Health, and Trinity Health. 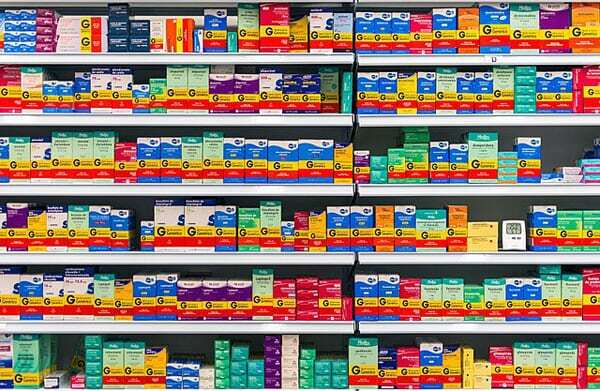 The coalition is investing in Civica’s ability to find creative solutions to tackle the devastating effects of skyrocketing generic drug prices and a shortage of essential medications. Civica’s business model will rely on long-term contracts with member health organizations who commit to buying a fixed portion of their drug volumes, hoping to create a competitive market to bolster their bottom line. The new venture will be governed by the seven healthcare systems and about 500 US hospitals. Civica has raised $100 million from member healthcare organizations. Nasdaq reports that Civica’s social welfare mission is to provide price transparency and access to a supply of essential drugs, the lack of which threatens patient safety. They will manufacture those drugs or subcontract with reputable drug manufacturers. The nonprofit pharma has come up with a list of 14 generic drugs to start. While the company will not announce specific drugs for competitive reasons, Eli M. Bahou, chief pharmacy officer at Providence St. Joseph Health, said that the criteria for a drug being on the list was having undergone a price increase of 50 percent or more from 2014 to 2016. The first drug may be released next year. Martin Van Trieste, now CEO of Civica, has vast experience in the pharmaceutical industry, most recent as chief quality officer for Amgen. Van Trieste says that he came out of retirement to lead the company with only two stipulations: He would not be paid and that the company would always put patients first. Civica Rx is not the only nonprofit pharma company working to improve access to affordable generic drugs. Purdue Pharma, manufacturer of Oxycontin, just announced that it will donate $3.4 million to the nonprofit drug company Harm Reduction Therapeutics to develop a generic form of Narcan, which uses naloxone to quickly reverse overdoses. Michael Hufford, CEO of Harm Reduction Therapeutics, told Bloomberg the product will cost “a fraction” of the $125 price for a two-pack of Narcan. Purdue’s gesture is a dubious one. The company has been accused of deceptive marketing tactics and pushing for heavy prescribing of Oxycontin, practices that have gone on for years. It now faces hundreds of lawsuits. Purdue is attempting to position itself in a more favorable light as a beacon in the fight to end the epidemic. Nevertheless, the company says that it won’t receive any revenue or royalties. Harm Reduction Therapeutics hopes to release the drug within two years, barring obstacles from US regulators. Purdue’s contribution may speed up its development to market. The company is petitioning regulators for over-the-counter access, Hufford said. At least 45 states and the District of Columbia already allow the drug to be obtained without a prescription.